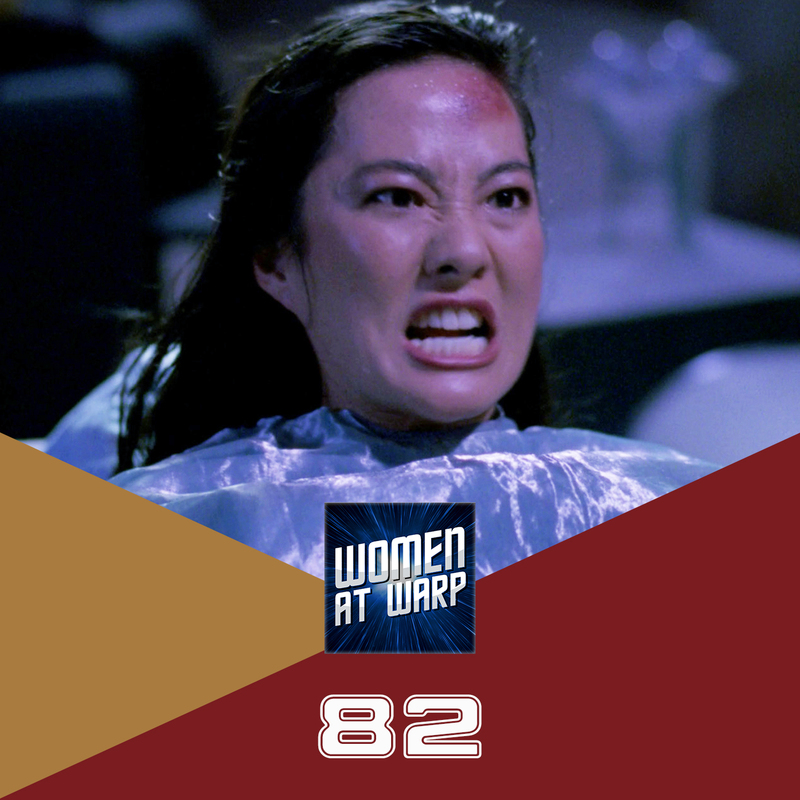 Our crew takes a look at the 5th Season TNG episode “Disaster.” We discuss Troi’s turn in the big chair, Worf’s skills as a field medic, the unusual pairing of Crusher and LaForge, Data’s disembodied head, Picard’s choice of children’s song, and so much more. I sense that “The Laughing Vulcan and his Dog” isn’t considered a polite song in the Trek universe, which would explain why Picard hasn’t heard of it. Star Trek and its portrayal of the chain-of-command sometimes follows how the real-world military works and sometimes it doesn’t. In “Disaster,” it didn’t. In the US Navy, there are two types of officers: line officers, who have command authority, and staff officers, who support line officers in their responsibilities. Staff officers are given officer’s commissions and pay grades because they have college or graduate school-level training in a complicated medical, engineering, or science field. Because she’s a medical officer, Troi would be considered a staff officer as it’s not expected that someone in the medical field would be called up to take command. And even though Chief O’Brien had the most experience, as an enlisted non-commissioned officer, he would be obligated to follow Ensign Ro’s orders. In Star Trek, the lines between line officer and staff officer have been blurred. Spock is a science officer, which the Navy has in the form of PhD-holding oceanography or atmospheric staff officers, but he’s also the Enterprise’s first officer. Apparently, Counselor Troi is authorized to take command if there are no other senior officers available. And even though Doctor Crusher is a medical doctor, her rank of Commander authorizes her to be the watch officer on the bridge. I suspect Ro’s hostility to the idea of Troi being in command comes from a junior command officer – which she is – taking orders from someone who’s a professional psychologist. Someone who, in her opinion, probably shouldn’t be in charge in a dangerous position. That said, I liked that Troi was gracious to her in the end when she said, “You could have just as easily been right.” She was magnanimous in her little inter-personal victory, which was a nice touch. One tiny part that I noticed is that for the epilogue scene, Troi has changed into a Command-maroon version of her V-neck outfit. I take this to mean she’s already resolved to improve her competence at Command, even if we don’t see action on this until much later. The little blond kid with the unblinking dead eyes has *got* to be related to Discovery’s Paul Stamets in some way; the resemblance in appearance and behaviour is a little uncanny. Love this series but did not like this episode. Almost an hour long and almost off topic the whole time. Skip this one. Sorry this ep wasn’t your cup of tea. Glad you’re enjoying the series overall.